We owe many thanks to Best Buy for outing the details of several products a bit before their time. It seems the retailer is at it again with a posting of the Moto 360, including a price and most of the product specs. At some time in the near future, $250 will be all that stands in the way of picking up Motorola's brand new wearable. Unfortunately, it's just listed as "Coming Soon" without any release date. We'll probably have to wait for September 4th to find out when we can pick up one of our own. As far as the tech specs, most of them aren't particularly surprising, and many of them were already known. That's not to say there aren't a couple of interesting details. To begin with, the CPU is only described as a "Texas Instruments Processor" without any mention of model number or clock speed. This does seem a little suspicious since TI announced nearly 2 years ago that it would stop producing processors for smartphones and tablets. Of course, a smartwatch doesn't count as either of those devices, so this may explain where the manufacturer has turned to since giving up on larger and more powerful hardware. 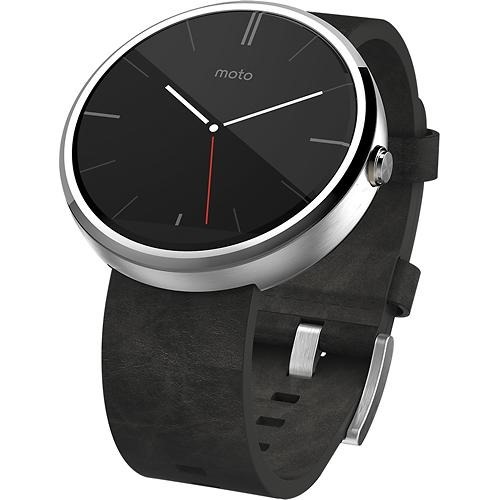 Additionally, the specs indicate that the Moto 360 will be equipped with "Wireless N" compatibility. 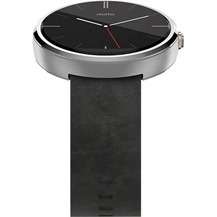 This looks a little odd since no other Android Wear smartwatch currently features Wi-Fi connectivity, and it's not entirely clear how useful it would be. Best Buy product descriptions occasionally include errors, so it remains possible that this isn't entirely accurate. Physical dimensions: 1.8" x 1.8" x 0.4"
If you've been looking forward to picking up the first fashionable Android Wear wristwatch, this should be enough to keep you on the edge of your seat until it's available. Sit tight! 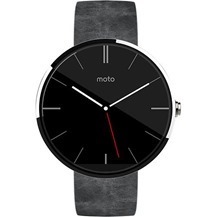 [Weekend Poll] At $250, Will You Buy A Moto 360?